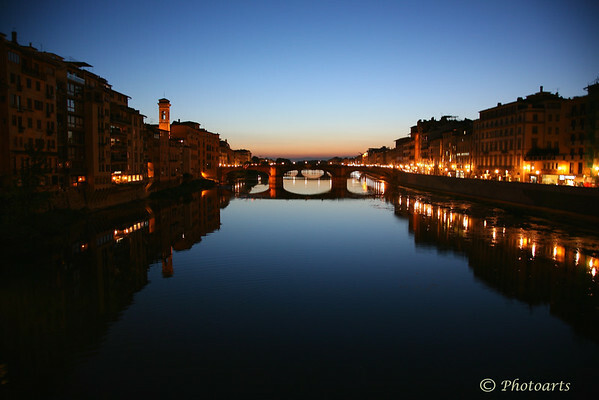 In the heart of Florence, Italy, Arno river divides unique areas most of which are designated as a UNESCO world heritage site and on this calm evening dishes up perfect reflections! Hi Payam, this is Great. Beautiful scene, composition, reflection and light !!! Beautiful night shot! Love the reflections. Well done capturing the mood of that time of day.